BA in Statistics and Insurance Sciences, MSc in International Business from Cologne University of Applied Sciences, Germany. 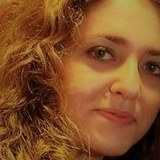 She has worked as an independent contractor to the Pedagogical Institution of Greece, for the management and statistical processing of EU co-funded programmes. She has worked for 10 years as Executive Administration Assistant at the Postgraduate Programmes "MA in Education (Education Sciences)", “Education Sciences“ and “STEM in Education“ at the School of Pedagogical and Technological Education (ASPETE), Athens, Greece. She is working in IDEC SA since 2018 in the field of EU projects.